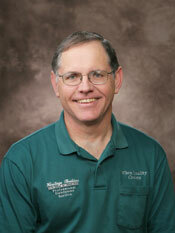 Serving the greater Menomonie area of Wisconsin. Viewing our website here is a much Greener way to check us out, rather than driving out here and seeing our Window Showroom, Wood Working Shop and our Efficient Office in a remodeled dairy barn. However, once you peruse our storefront, I hope you do decide to call and come out, or have a salesman over to see your own place and what you want to change in it. 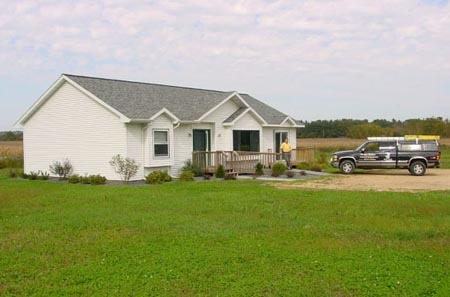 After reviewing our website, I hope you come away with the impression that whether you are in need of small or routine home repairs, home remodeling, an addition or two, new windows, siding, or roofing, or just simply want to improve your home's energy performance, Heritage Builders, Inc. and Professional Handyman Service is the right company for you. Links at the left, give you information about all of the services we offer and many of the projects we have completed and repeat business we have earned, and actually who we are. I am trying to give you a great picture of how we do things and why. Our over 30 years of experience and our unending promise of excellent workmanship, excellent service and excellence in being green is available here and now for you and your own project. Please feel free to contact us by email or just give us a call at 235-7910. Thank you for your time, and your business. 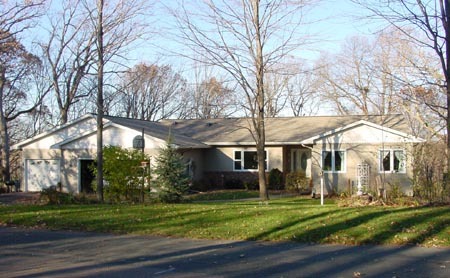 In 2000, we built a model modular home north of Menomonie. Insulated crawlspace houses all mechanicals. 2x4 wall with foam sheathing is very energy efficient. New storm windows and patio door. A custom built home custom designed by the owner in 1989. Insulated poured foundation. Southern views take in light and heat when needed. Positive drainage around to divert rain water into rain garden. 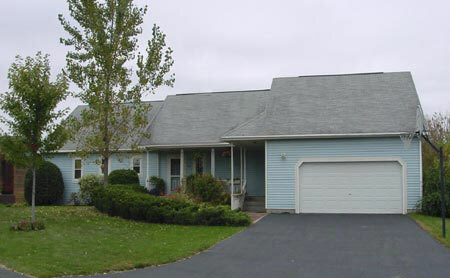 Custom designed modular home built in 1994. Super efficient and durable windows. Parade Home. Insulated foundation. Flash Filter vent at dormer. Custom designed by Courtney Nystuen. 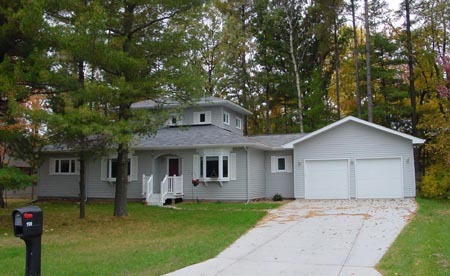 To blend perfectly with existing home in Woodland Terrace. Economy is achieved with Room In Attic trusses- creating more 'free' storage space above without adding to earth imprint. Good design that blends with it's environment is one example of Green Design. 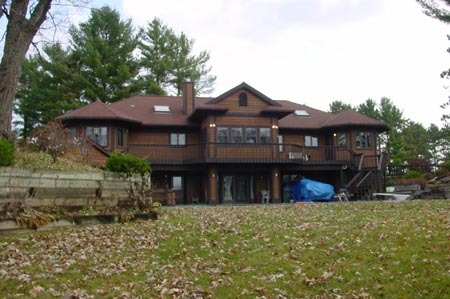 Custom Built in 1991 on Lake Tainter. Designed by Architectural Design Group. Deep overhangs move out the drip line. Rigid foam insulation on walls plus batts. Sealed box sills. Custom designed by owner in the hills west of Colfax. Tightly sealed home. Infloor radiant heat. Locally supplied poplar ceiling panels. Energy efficient windows. Finished off Basement. Restoration after a fire, this home was totally rebuilt in Menomonie in 2001. New Windows. Sealed box joists and air chutes. Taped house wrap on all exterior surfaces for effective drainage plane. Cleaned and reused entire foundation. Custom designed garage and storage by Courtney Nystuen of Menomonie. 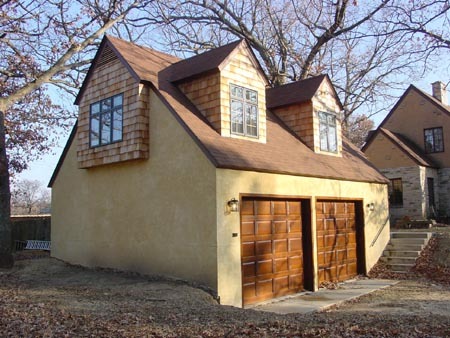 Building has EIFS stucco system to compliment appearance of existing home. Project included expanding piano room into existing garage. A New Home's a great way to realize your dreams. Building a New Home is a great way to get a home that truly reflects the customers personalities, wishes, and dreams. It is a way to start out with the greenest of building components such as the best insulation, the most durable surfaces, the more healthy floorings or the most efficient mechanical systems. Heritage Builders is a licensed company of experienced and trained master carpenters, knowledgeable in the Building Code and Energy Efficient Construction with over 30 years of experience. Heritage Builders has been building new homes since 1986. Each home has been uniquely designed and built for specific customers. While Green is trendy now, Green Building techniques have been employed in our homes since the beginning. Here are some of the features of homes we have built. Custom designed for and with the homeowner. Site considerations for heating, cooling, and views. Durable trim, often from local sources. Heritage Builders is a Full Service Home Builder. On your behalf, we are the General Contractor, whose job it is to manage all the work of all the subs trades, the materials suppliers, and our own carpenters. We coordinate all of the thousands of complex details that come together in the project you will call home. We work hard to ensure that your new home is exactly what you expect. These days, there are always newer and better ways to build green. 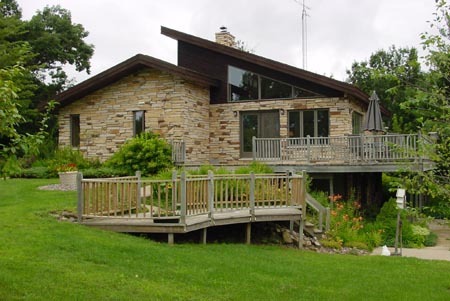 By incorporating your own particular wishes and needs into the building design, and specifications, we can provide for you the home that you truly want. Our mission is to provide services that surpass our clients expectations. We will accomplish this by hiring and retaining first class employees, through the selective use of responsible subcontractors and by approaching the handyman and building process with honesty and integrity. This will provide the foundation for long term customer relations and growth. We are committed to the success of our clients, our business partners and our employees.